Many aspiring epic novelists surely wouldn't mind writing like Leo Tolstoy. But can you write like the writer you admire without living like the writer you admire? 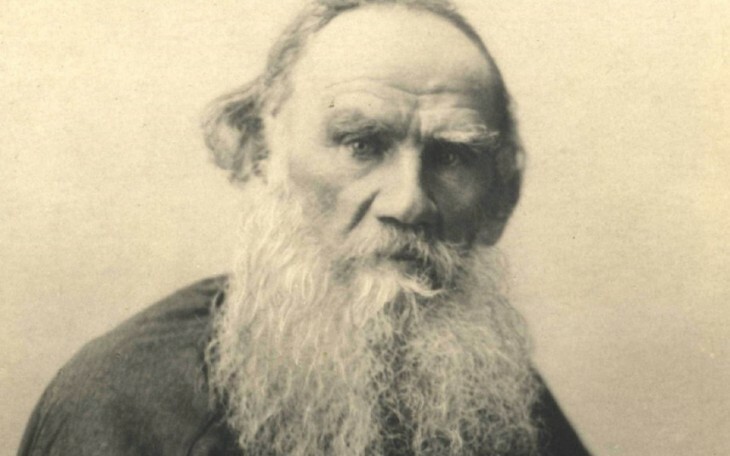 Biographies reveal plenty of facts about how the author of such immortal volumes as War and Peace and Anna Karenina passed his 82 years, none more telling than that even Leo Tolstoy struggled to live like Leo Tolstoy. "I must get used to the idea, once and for all, that I am an exceptional human being," he wrote in 1853, at age 25, underscoring that "I have not met one man who is morally as good as I am, or ready to sacrifice everything for his ideal, as I am." Even if you haven't read much about Tolstoy's life, you may sense in some of these general principles evidence of battles with particular impulses: observe, for instance, how his twice-monthly limit on brothel visits becomes the much more stringent and much less realistic forbiddance of women entirely. But perhaps his technique of working hard, however well or poorly it suppressed his lust (the man did father fourteen children, after all), benefited him in the end, given the vast and (often literally) weighty body of work he left behind. "Between 'rules of life' and life itself, what a chasm!" exclaims biographer Henri Troyat in Tolstoy. But as rich with interest as we find books like that, we ultimately care about writers not because of how they live, but because of how they write. The young Tolstoy knew that, too; "the publication of Childhood and 'The Raid' having made him, in his own eyes, a genuine man of letters," writes Troyat, "he soon added no less peremptory 'Rules of Writing' to his 'Rules of Life':"
When you criticize your work, always put yourself in the position of the most limited reader, who is looking only for entertainment in a book. The most interesting books are those in which the author pretends to hide his own opinion and yet remains faithful to it. When rereading and revising, do not think about what should be added (no matter how admirable the thoughts that come to mind) ... but about how much can be taken away without distorting the overall meaning. Then again, War and Peace has in the modern day become a byword for sheer length, and few readers not already steeped in 19th-century Russian literature would turn to Tolstoy for pure entertainment. Perhaps the writer's life implicitly adds one caveat atop all the ever-stricter rules he made for himself while living it: nobody's perfect. Leo looks just like my youngest brother. Put the two photos together and you see the same person.